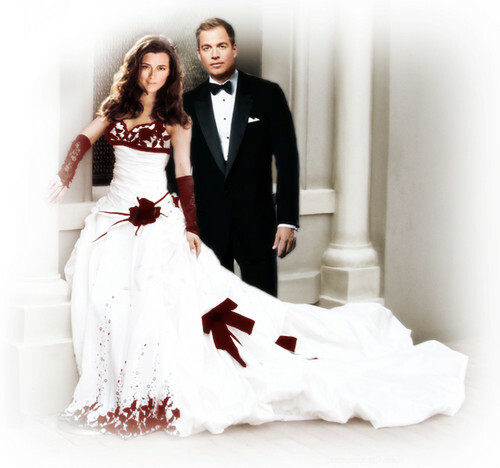 Ziva & Tony getting married. . Wallpaper and background images in the NCIS club tagged: ziva david tony dinozzo. This NCIS fan art might contain abay na babae, abay sa kasal, pangkasal toga, damit na pangkasal, damit-pangkasal, and toga. Beautiful dress, too bad this picture is a fake. I wish it were real. i hope that this happens eventually- as it is driving me crazy seeing them try to hide their feelings for eachother. I would love to see this episode!!!!!! Love you Tiva!! !